I finally got around to checking out Arcade Fire's groundbreaking new video, We Used to Wait, and I have to say it is just as cool as everyone says it is. 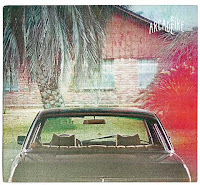 Essentially, Arcade Fire has used the power of Google to create a personal, emotional connection between you and their song. It's fascinating and so very brilliant. Now, this doesn't work for all addresses (for instance, since I grew up in the boondocks, my childhood address doesn't work very well), and it takes a little bit of set up, but I think it's worth it. First, you have to download Google Chrome if you don't have it. It only takes a minute. When it asks for your childhood address, type it in and watch the music video. Only if you're like me and your childhood address doesn't work well, the program will warn you. So try your elementary or high school, or an old college address, or your grandparent's house. It's best if you put in the address for a place you know really well. Another tip: when you're asked to create something (you'll know what I mean when you see it), be sure to use both the keyboard and the mouse to create it. Both have different, but equally cool effects. Do you think this is the future of music videos? Or just a one time wow-factor kind of deal?